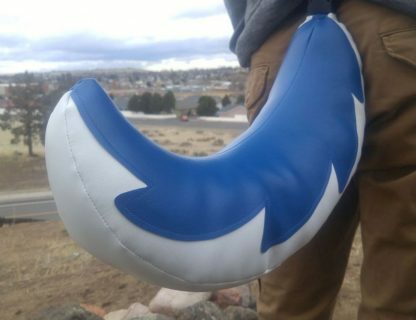 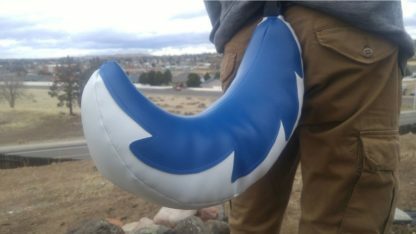 AnthroWear’s Vinyl husky tail is a unique and striking new concept, made in the image of a vinyl inflatable pool toy. It clips on with AnthroWear’s exclusive Deluxe Belt Loop Buckle for a sturdy hold. 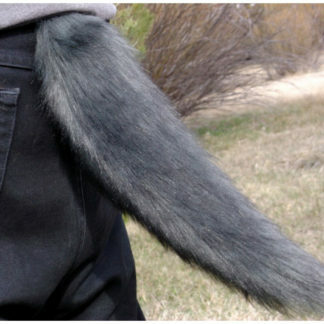 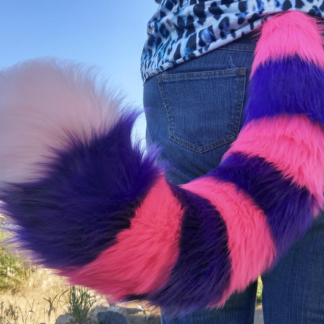 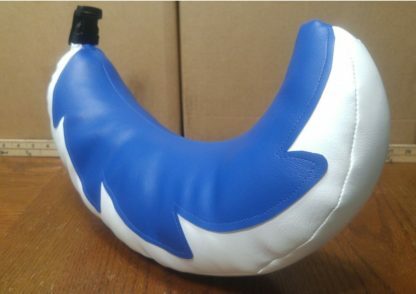 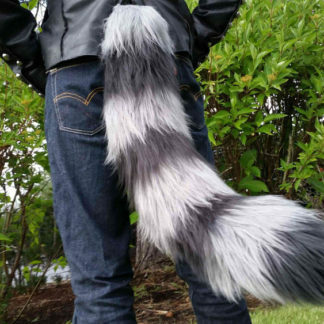 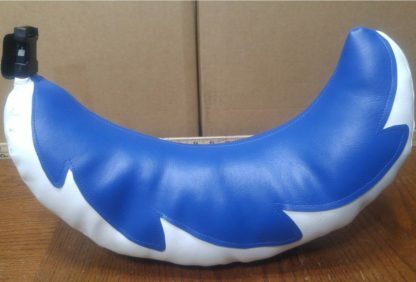 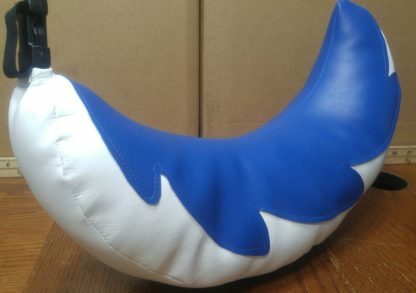 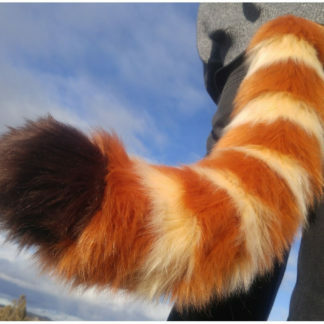 This tail can be customized with a different top and bottom color. 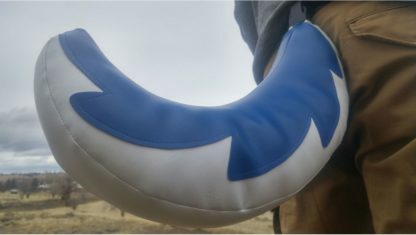 Surface washable, water resistant. 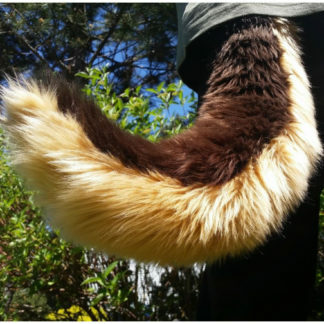 Do not machine wash.
By buying this product you are supporting excellent labor practices, quality artisanship, and a trusted brand. 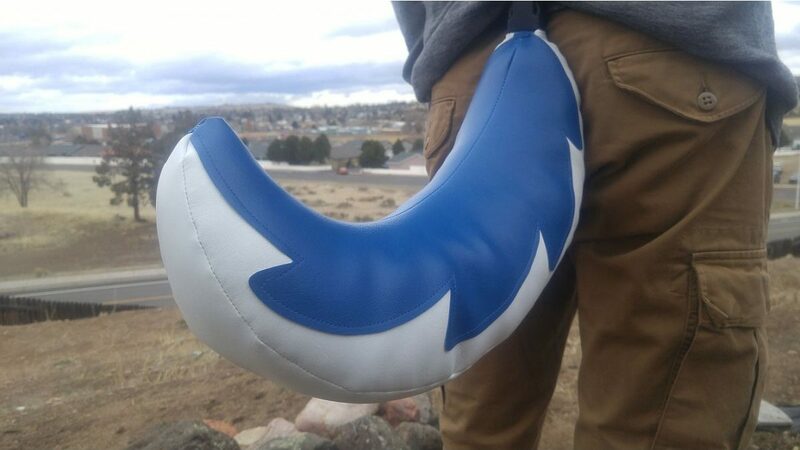 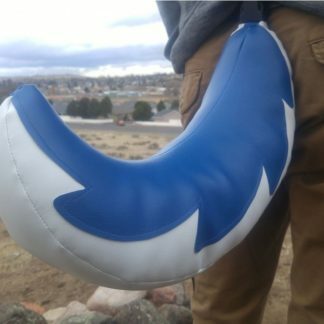 We hope you LOVE your new AnthroWear Vinyl Husky Tail!